Current: What is Velocity in Scrum? Predicting how much scope can be delivered by a specific date. Predicting a date for a fixed amount of scope to be delivered. Understanding our limits while defining the amount of scope we will commit for a sprint. 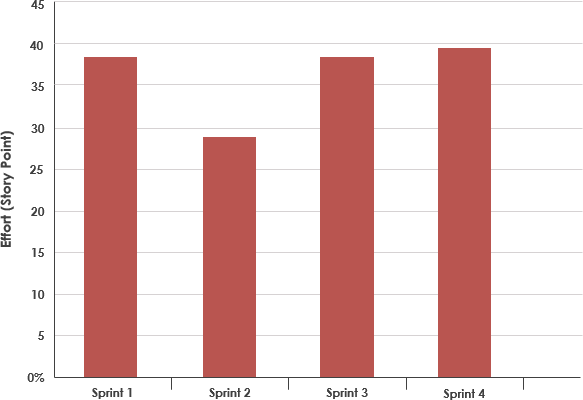 There are some simple guidelines for estimating initial velocity of your Scrum team prior to completing the first few iterations, but after that point your team could use proven, historical measures of velocity estimation for sprint planning. Based on a series of past sprints, the estimation of velocity typically stabilizes and provides a more reliable basis for improving the accuracy of both short-term and longer-term planning of your Scrum projects. Velocity is a measure of the amount of work a Team can tackle during a single Sprint and is the key metric in Scrum. 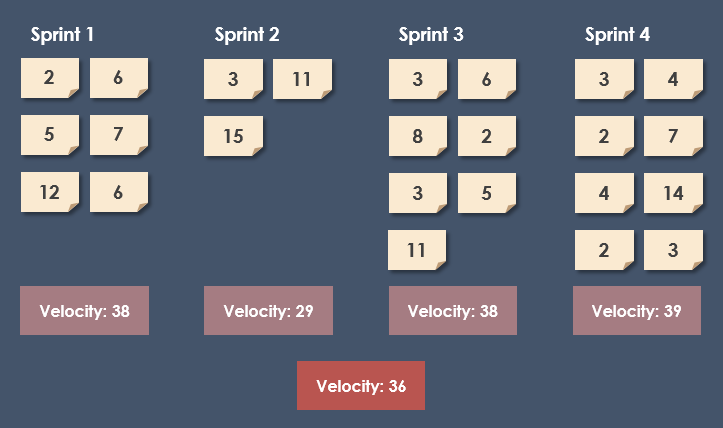 Velocity is calculated at the end of the Sprint by summing up the Points for all fully completed User Stories. Points from partially-completed or incomplete stories should not be counted in calculating velocity. An agile team has started work on an iteration, planning to complete stories A and B, estimated at 2 points each, and story C, estimated at 3 points. At the end of the iteration, stories A and B are 100% complete but C is only 80% complete. Agile teams generally acknowledge only two levels of completion, 0% done or 100% done. Therefore, C is not counted toward velocity, and velocity as of that iteration is 4 points. 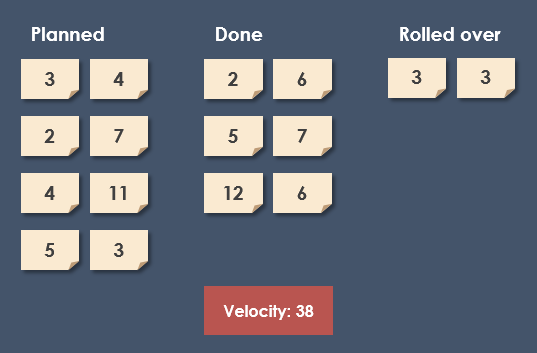 After knowing velocity in step 1, the team can compute (or revise) an estimate of how long the project will take to complete, based on the estimates associated with remaining user stories and assuming that velocity over the remaining iterations will remain approximately the same. This is generally an accurate prediction, even though rarely a precise one. Suppose the user stories remaining represent a total of 40 points; the team’s forecast of the remaining effort for the project is then 10 iterations. Story points are used to measure size and complexity which mean how long it takes us to finish it. Story point is a relative measure of the time it takes to complete a user story. It is a concept borrowed from XP. It is used to assess the difficulty of the story, not the promise of how long it will take. This is regardless of the size of the team or what is the task, you can use story points. How to relate velocity to story point? Teams often need to use “Velocity” as a measure of productivity to tell outsiders exactly how fast the Scrum team is. If the estimation of our story point is maintained throughout the project, it would make sense to use the story point to represent “Velocity”. If the consistency is not only in the team, but also in the cross team, even at the level of the entire company. This will not only measure productivity, but also compare the status of each team. If the value of the story point is stable, then it can be used as a reference for the release planning. You can evaluate the possible schedules afterwards. How to Determine Story Points for User Stories? Story points are a relative measurement unit, the first step your team should take is to define one story as the baseline, so that they can estimate the other stories comparing to that reference. According to the literature, the team should find the simplest story in the backlog, and assign 1 story point to it, after that, they use that story as baseline to estimate the other stories. How to Estimate Velocity More Accurately? 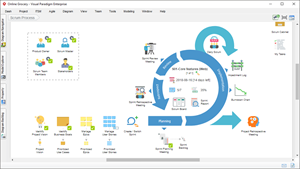 In Scrum, velocity help you to understand how long it will take your team to complete the product backlog. However, it typically takes few sprints for the team figure out a more stable velocity. To estimate more accurate velocity for your team, we can gain the experience based on the past track-record of the team. It will be more accurately forecasting of how many stories a Team can do in a Sprint. For forecasting purposes the average of the last three or four Sprint’s Velocity should be used. As mentioned before, the team should not add any partially-completed work towards the velocity. 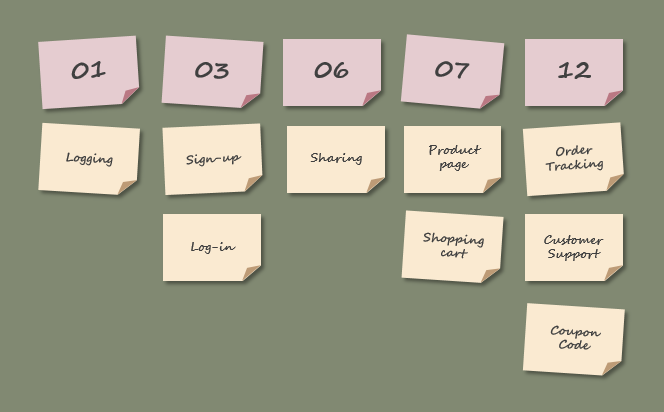 Only those user stories marked as ‘Done’ count, even if there’s only a tiny bit of work left to do in the task. Based on just only one sprint, the velocity is not a very reliable metric for making predictions. (But it does give the team a sense of how much work they can commit to in a single sprint.) Let’s track their progress for a few more sprints. Track how much effort your team has reported as complete for each sprint. Estimate how much backlog effort your team can handle in future sprints if your team composition and sprint duration stay constant.